In March 2014, a salvage excavation was conducted in Nahal Shoqet (Permit No. A-7058; map ref. 192715/578040; Fig. 1) after remains of a monastery were discovered in trial trenches, prior to the construction of an interchange at the entrance to Hura in the Northern Negev. 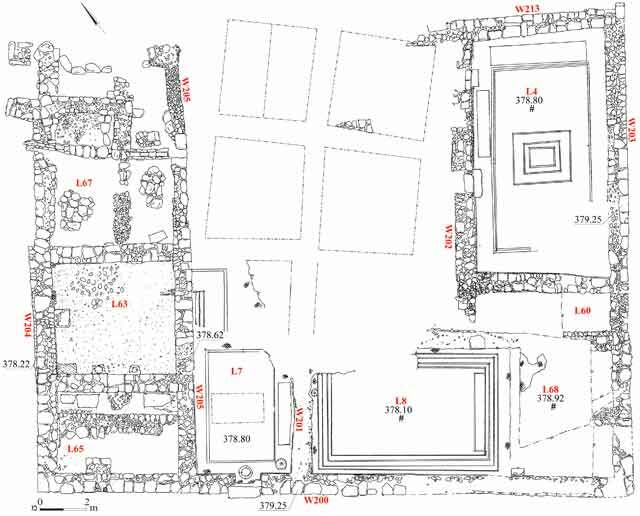 The excavation, on behalf of the Israel Antiquities Authority, was directed by D. Varga, with the assistance of M. Pasternak and T. Gerser (area supervision), Y. Al-‘Amor (administration), M. Kunin, A. Hajian, R. Mishayev and R. Liran (surveying),A. Peretz (photography), the Sky View Company (aerial photography), Y. Ustinova (Greek inscriptions), D. Weintraub (Syriac inscription) and laborers from Ashqelon and Lakiya. An impressive monastery dating to the Byzantine period that had been discovered in the survey of the Map of Yattir (Guvrin 2002:44) was exposed at the site. The monastery (28 × 20 m; Fig. 2) was divided into halls that were built on an east–west axis, except for the dining hall which was oriented north–south. The prayer hall (L8) and the dining hall (L4) were paved with breathtaking mosaic carpets of outstanding beauty and size. The mosaic in the prayer hall had a leaf motif in blue, red, yellow and green (Fig. 3). 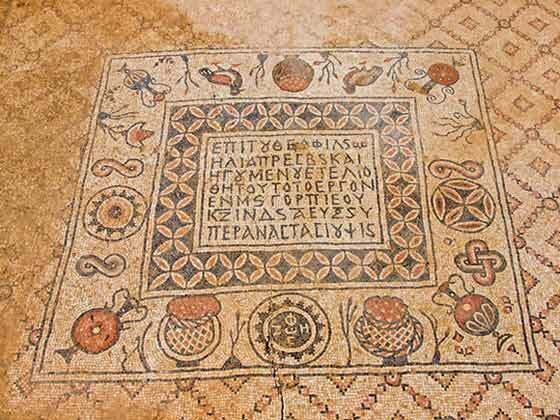 The dining hall (refectorium) was paved with a mosaic adorned with floral motifs, geometric designs, amphorae, baskets and even a pair of birds (Fig. 4). 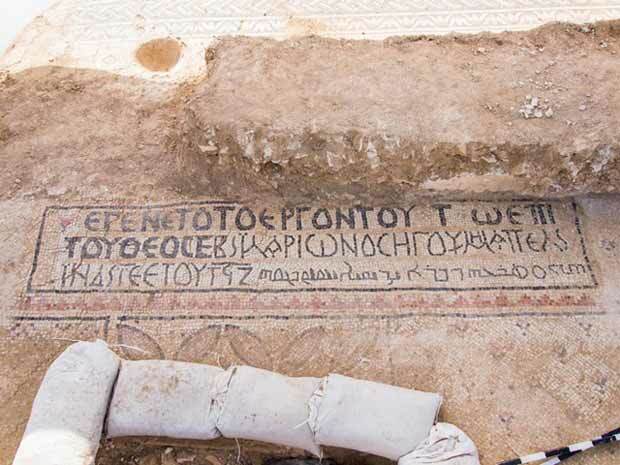 Four Greek dedicatory inscriptions were integrated in the mosaic carpets. 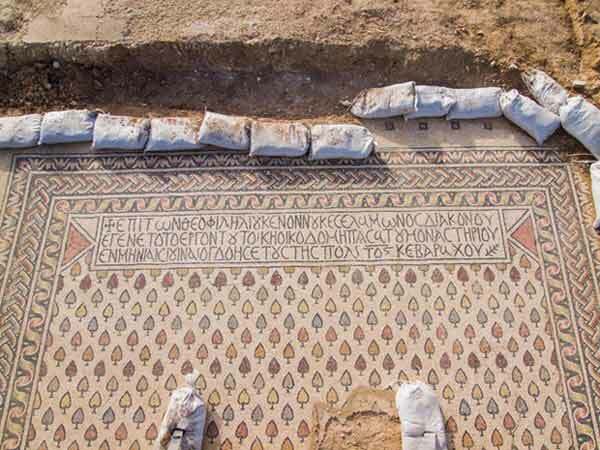 They mention the names of the abbots Elijah, Nonus, Solomon and Hilarion, as well as the name of the mosaic artist—Anastasius—who paved the floor in the dining hall (Fig. 5), and the dates of the mosaics in the halls, which date the monastery to the second half of the sixth century CE. The date of the monastery’s construction, 575 CE, appears in the prayer hall (Fig. 6). The inscription in the room west of the prayer hall (L7) is bilingual—Greek and Syriac—and dates to 596 CE (Fig. 7). The entrance to the monastery was from the west. The western wing, which is partly preserved, was divided into at least three service rooms (L65, L63, L67) and was paved with a white mosaic, which was largely destroyed when the building collapsed at the end of the Byzantine period. Only a few pottery vessels were discovered in the excavation, among them large storage jars: amphorae and a variety of jars, cooking pots, basins and bowls. A few glass vessels typical of the Byzantine period and coins were also found. 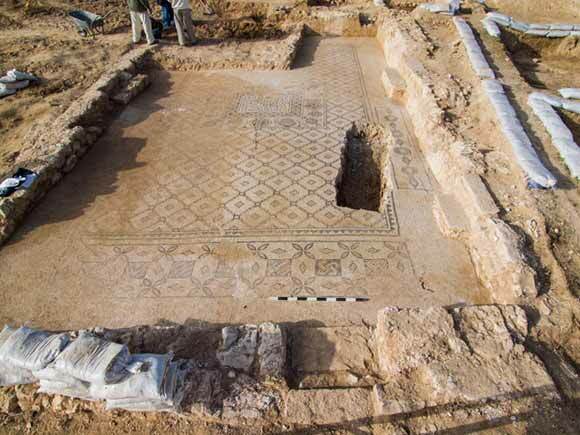 It seems that the monastery, located near the Byzantine settlement of Horbat Hur, was an urban monastery, one in a series of monasteries along the road that connected Transjordan with the Beer Sheva Valley. Guvrin Y. 2002. 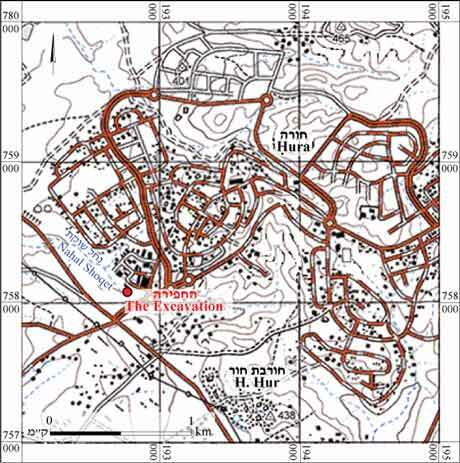 Map of Yattir (139) (Archaeological Survey of Israel). Jerusalem. 3. The prayer hall, looking east. 4. The dining hall, looking south. 5. An inscription in the dining hall, looking south. 6. An inscription in the prayer hall, looking east. 7. A bilingual inscription, looking east.